Range traders huddle up! NZD/USD just bounced from the .6730 handle, which is right smack at a range support on the 1-hour time frame. What’s more, stochastic is also sitting in the oversold territory. 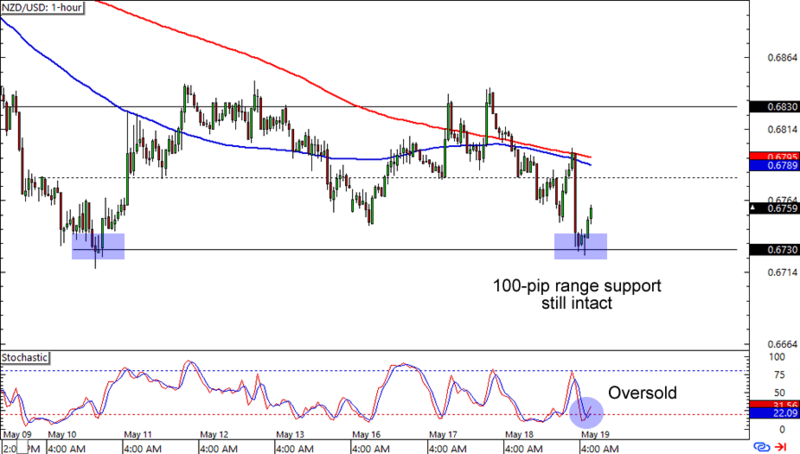 The range is about 100 pips wide so you still have room to make pips if you’re one of them Kiwi bulls. Just watch out for a possible resistance around the 100 and 200 SMAs! 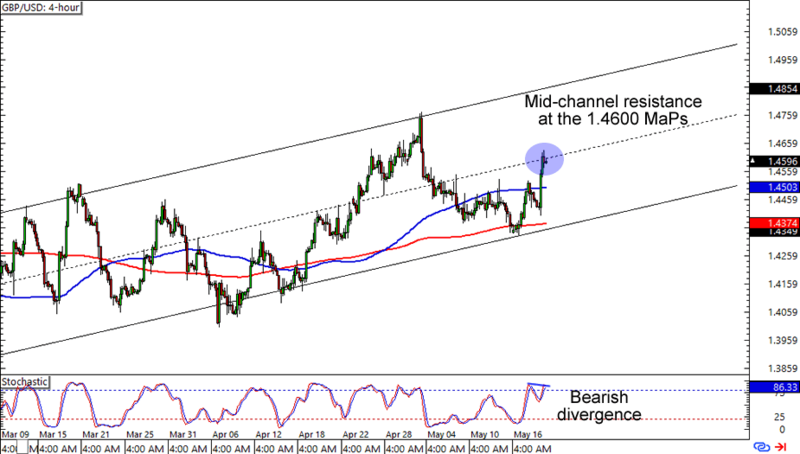 GBP/USD is having trouble breaking above the 1.4600 major psychological (MaPs) handle, which lines up with the mid-channel resistance on the 4-hour chart. What makes this setup more interesting is that stochastic’s signals are pointing to a bearish divergence in the making. Think the pound is about to lose pips against the Greenback? Stop losses just above the mid-channel line could give you a good reward-to-risk ratio especially if you aim for the channel support. If you’re not too comfortable trading this one though, then you could always stay in the sidelines. After all, countertrend trading isn’t for everyone. Who’s up for a Fib play? I hope you are because this one is too hot to miss! 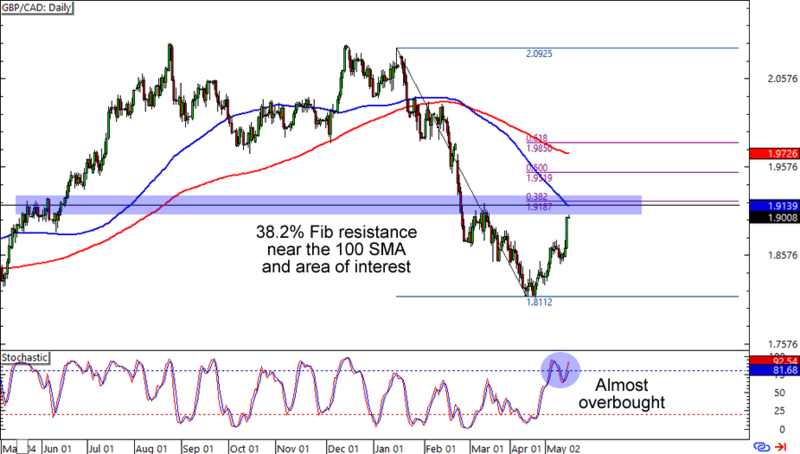 GBP/CAD is heading fast towards the 1.9050 levels, which lines up with not only an area of interest but also the 38.2% Fib and 100 SMA on the daily time frame. Even stochastic is on the bears’ side with an almost overbought signal. A short trade at the level could make for a good trade if you believe that the pound will head back to its previous lows. Of course, you could also wait for a break above the Fib levels if you’re one of them pound bulls.